The year of the transfer is reaching one of its most interesting stages. 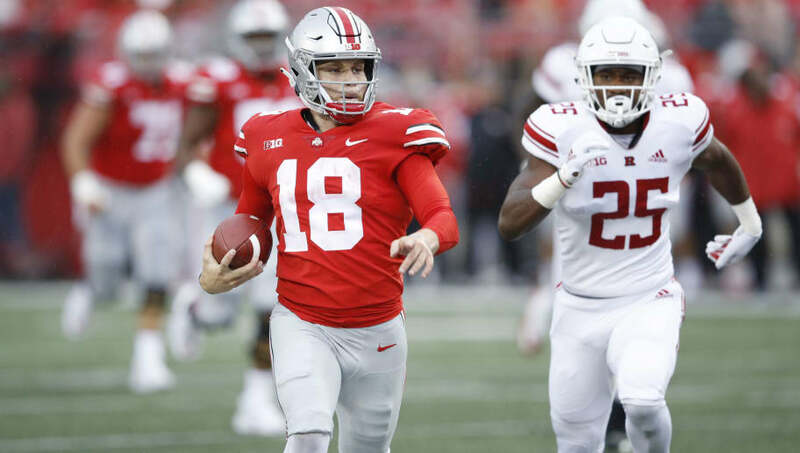 After many marquee players, including former Ohio State backup quarterback Tate Martell, declared their intentions to transfer, the next step in the process was to request a waiver from the NCAA to play immediately rather than be forced to sit out a year. In any battle with the NCAA, players and their representatives will do anything that they can in an attempt to win. For Martell, this means citing Urban Meyer's suspension following his lack of proper response to Zach Smith's scandalous actions as a reason for his transfer. Reading the Miami boards and they're saying Tate Martell camp is using the Zach Smith and Urban fiasco as their driving point to get eligibility. That's absurd, the Zach Smith thing was litigated to a settlement. I expect the NCAA to grant him a waiver but talk about a reach. Martell was reportedly considering filing a request to transfer at the time that Meyer was suspended, but instead decided to play out the season at Ohio State. With former top recruit Justin Fields transferring in, Martell decided after Ohio State's Rose Bowl win over Washington to transfer to Miami, seen as a cowardly move by most fans of the program. Of course, after Fields recently was granted a hardship waiver after the racial discrimination he experienced at Georgia, Martell's attempt to get similar treatment seems somewhat misguided. If Martell is cleared, it will leave many wondering what exactly it is that the NCAA looks at when determining who should or should not have to sit out a season. Nothing is guaranteed with the NCAA. As you can tell by the use of the Smith and Meyer catastrophe, Martell and his camp are throwing everything they have at the NCAA to try to get Martel on the field as soon as possible.